We all know how painful it is to type important events into your calendar. 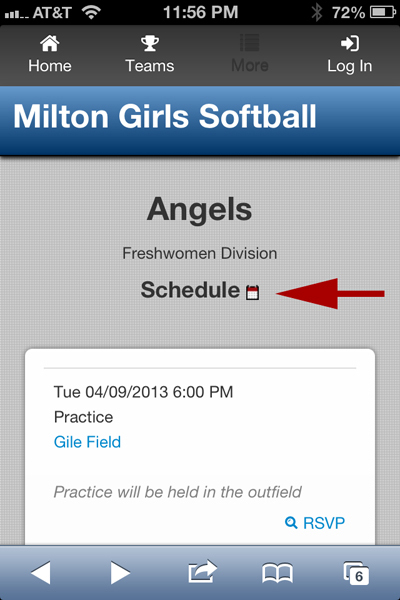 Well, now you can add your entire daughter's softball game and practice schedule without having to type anything. The website has a feature where you can subscribe to the calendar and it will appear on your smartphone. And the best part. Any changes to the schedule will automatically be reflected on your phone. This should work on iPhone and Android devices. 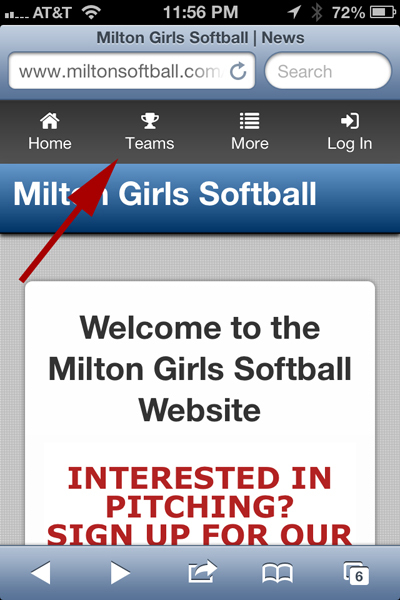 From your phone, go to www.miltonsoftball.com. Click on Select a Team. Select Schedule from the Dropdown list. Next to the word "Schedule" click on the calendar icon. You will be asked if you want to subscribe to the Calendar. Click Yes. After a few minutes events from the Calendar will begin appearing. 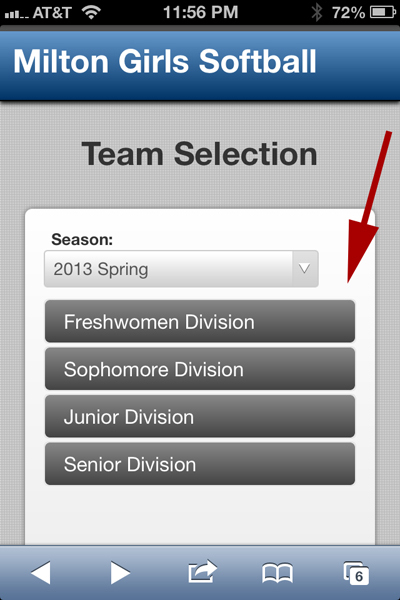 When the season is over, you may want to remove the calendar from your smartphone. On the iPhone, go to the Calendar app. Click Edit. Click on the arrow next to the calendar you would like to delete.